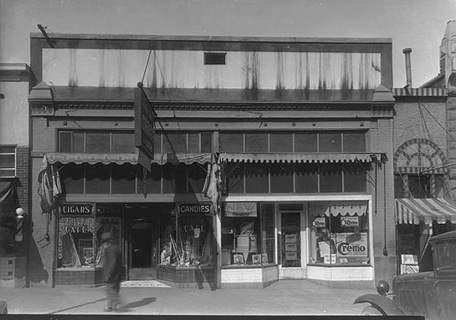 What's now the Idle Isle Cafe started in 1921 as a candy store. Brigham City's Idle Isle Cafe is a local legend. 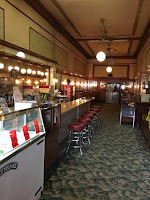 The historic cafe began in 1921 as a candy store that morphed into a full-fledged cafe long before US 89's route traveled Brigham City's Main Street. Today, the Idle Isle Cafe is arguably the oldest eatery still in business along US 89's entire route. When US 89 was first designated in 1926, it ended in Spanish Fork, far to the south of Brigham City. It wasn't until 1932 that US 89's route was extended thru Brigham City to the Canadian border at Piegan, Montana. By that time, the Idle Isle was long past its candy store days and had become a thriving, full service cafe. Back from the 1930's through to the early 1950's, fast food chains were mostly unknown. Travelers were accustomed to stopping in "Mom & Pop" restaurants located along the many Main Streets traversed by the US highway network. 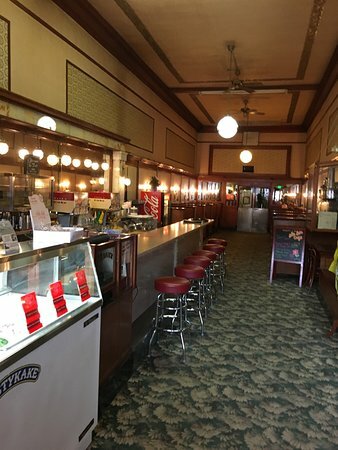 The Idle Isle Cafe's very prosperity and survival through the depths of The Great Depression was due in large part to the restaurant's reputation known far and wide among US 89 travelers. Today, the Idle Isle Cafe carries on much as it did decades ago, although the lion's share of the eatery's business comes from local and regional customers. The Idle Isle Cafe is one of the very few remaining ancestral US 89 restaurants that retains much of the original furnishings and decor. The cafe serves a wide array of American Comfort Food and is now perhaps best known for its sweet treats such as pie, shakes and sundaes. 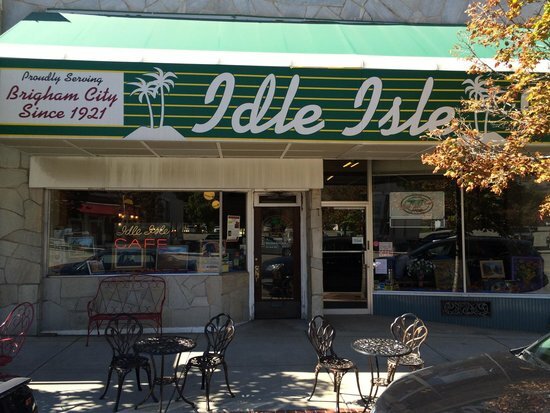 Here are various links to learn more about Brigham City's Idle Isle Cafe.